The Toyota Prius has been a hit especially in the USA where the people love it for it’s excellent fuel economy and the tax breaks that comes with using a hybrid vehicle. A stock Toyota Prius without any modifications to it’s hybrid powerplant system gets about 45 miles per gallon of petrol. Converting this to our litres per 100km thinking, that’s about nearly 200km for 10 litres of fuel. My Satria with it’s 45 litre fuel tank could probably go 900km! That’s crazy fuel mileage. 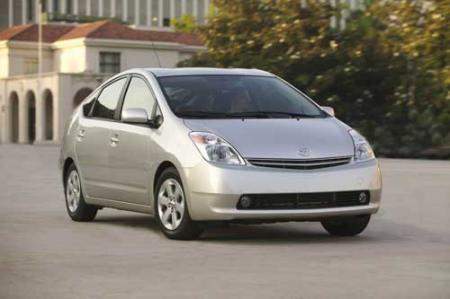 Ron Gremban, an electrical engineer and committed environmentalist, spent several months and USD$3000 (RM11,250) modifying his Toyota Prius to get even more astonishing fuel mileage. So what kind of fuel mileage did he achieve? 80 miles per gallon. A 45 litre fuel tank can go 1450km. Crazy right? How did he achieve this? He has a stack of 18 brick-sized batteries in his boot to store extra power and he has modified the charging system to be able to fully charge the car from a regular wall power outlet in his house. The extra batteries allow the Prius to run for 20 miles with a 50-50 mix of gas and electricity. After the batteries run out, the Toyota Prius falls back to regular hybrid mode and has a fuel efficiency of around 45 mpg. As long as Gremban doesn’t drive too far in a day, he says, he gets 80 mpg. The value of plug-in hybrids is they can dramatically reduce gasoline usage for the first few miles every day. The average for people’s usage of a car is somewhere around 30 to 40 miles per day. During that kind of driving, the plug-in hybrid can make a dramatic difference. Some experimental hybrid modifications have even achieved 250 miles per gallon. That’s roughly 100km for 1 litre of fuel. A 45 litre fuel tank can go 4500km. With petrol prices in Malaysia expected to go higher than RM2 per litre, my wallet is envious of those hybrid owners.